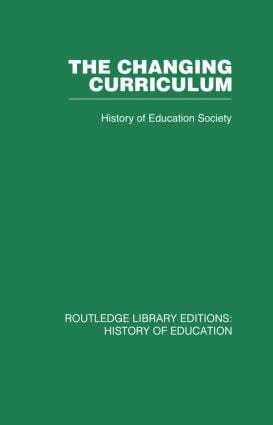 This was originally published in 1971.Recent years have seen a renewal of interest in the field of curriculum development. Until now, however, relatively little account has been taken of the historical aspects of curriculum change. The contribution made by educationists of the Civil War period who drew their inspiration from science rather than the classics. The formation in the eighteenth century of "academic honeycombs" – groups of scholars concerned with the growth of science and technology. Nineteenth century developments on art education and an assessment of the work of the scientific innovators.